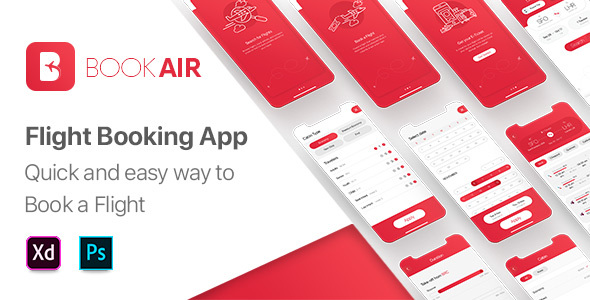 BookAir Flight Booking App UI Kit is fully featured with 37 screens for iOS, 7 Fully-Editable Custom Vector Illustrations and 40 Custom Icons. 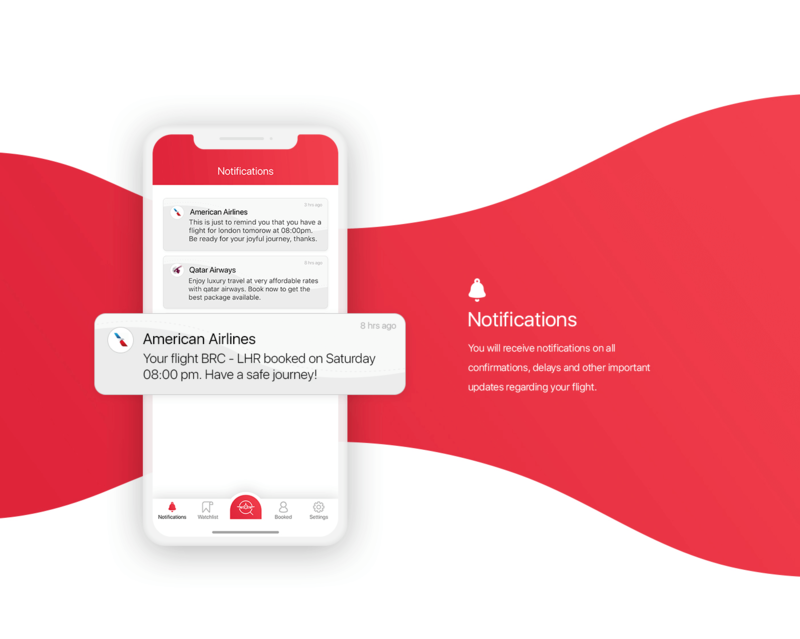 It also comes with a fully interactive & linked prototype inside the Adobe XD File to help with UX and build the app faster. 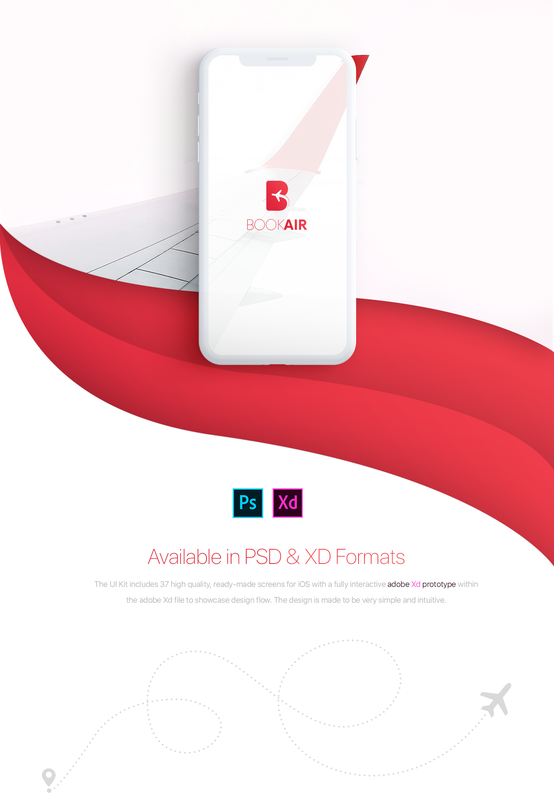 Available in Adobe XD and PSD Formats.